How many traffic lanes should a street have? Should public transport be prioritized? And what about bike paths? 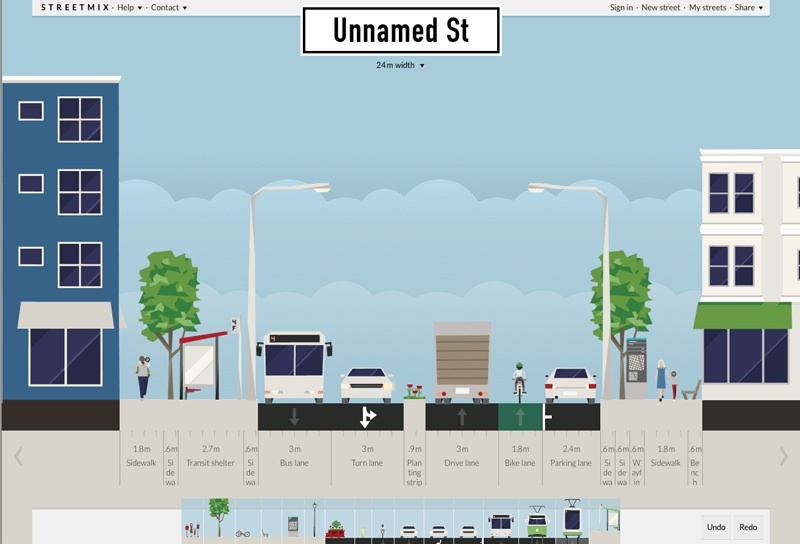 StreetMix is a playful web-tool for urban planning. The site is based on a template and a set of pre defined elements like cars, bikes, pedestrians and buildings that you can reorganize and scale. Besides being fun to play with, StreetMix can help users highlight problems and visualize solutions for streets in their communities. See: Seattle Bike Blog and Greater Green Washington. The project is a created by Code for America 2013 fellows. guerrilla-innovation.com is a blog by Sebastian Campion, based in Amsterdam/Copenhagen. guerrilla-innovation.com 2005-2015 - Powered by Movable Type 3.31.